I felt strangely saddened when Dutch gaming site PS Focus reported last month Bethesda might have pulled the plug on Human Head’s Prey 2. I’d never actually played the original, and everything I’d heard about the sequel suggested it had only the most tenuous and ephemeral of connections to its predecessor anyway, but I liked the concept of an open-world sci-fi game set in a Blade Runner-style city populated by the denizens of the Mos Eisley Cantina. Bethesda kept their mouth firmly shut about the matter but some unsettling signs, like Human Head inexplicably pulling out of not one but three GDC sessions right at the last minute, gave the PS Focus story a ring of truth. Quality standards? Bethesda? I’m not knocking the overall calibre of their games but it’s a bit rich of them to say they are “unwilling to compromise our quality standards to meet a release schedule” when Skyrim was such a buggy, broken and unpolished game. Maybe Prey 2 is missing a certain useless institute of musical learning I want to burn to the bloody ground every time I see it. Nobody likes delays of course but if it means we’ll get a better game out of it then I really don’t mind. Mass Effect 3 for example could have done with at six more months of development time to smooth out the few remaining rough edges and, y’know, make a decent ending for it. Ideally one that couldn’t be summarised on one side of a beer mat in size 48 font. 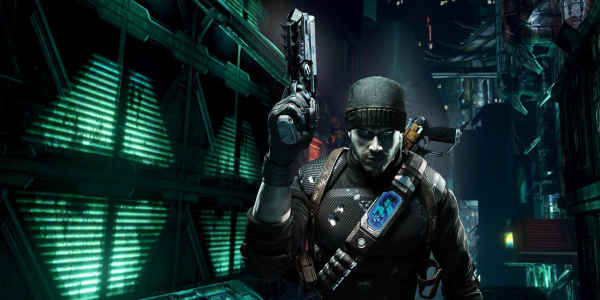 So yeah we have to wait a bit longer to get our alien bounty hunting on in Prey 2. I’m not too bothered by this but then I’ve always been more inclined towards the “when it’s done” philosophy of games development. I never could understand those rabid types who act like the bloody sky is falling whenever they hear the D-Word.